In January and February of 2018, the Lawrence Arts Center introduced a brand new Play Lab Series for 2-5 year olds. In these research sessions, we worked with child/caregiver pairs using improvised dance and painting. These sessions were recorded and served as research for our upcoming dance performance for children ages 2-5, Dot. Children were our artistic partners in our process. All of the choreography for Dot will be performed by adults and based on our interactions in the Play Lab Series. We ask the question: what if we danced the way that children draw? Working on DOT was a profound experience for me as an artist. 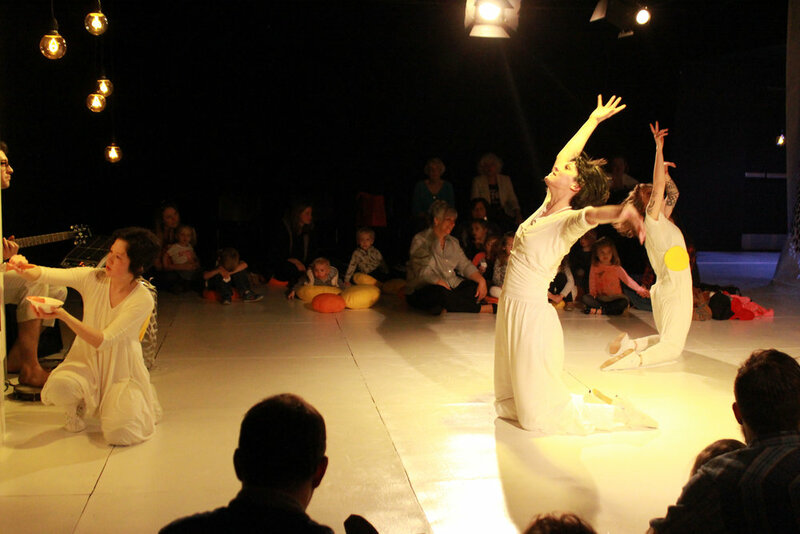 I have never worked with very young children before, certainly not as equitable collaborators, and the experience of living in my body so completely as a dancer confirmed many of suspicions regarding my art identity, an identity centered by a creative, collaborative being -- a dancer; a performer; a clown; an empathetic, collaborative being who blossoms in imagined spaces of creative world building. That's a lot to attribute to a 40 minute show where the intended audience is 2-5 years old, but truth be told, DOT was anything but a "kid's show". 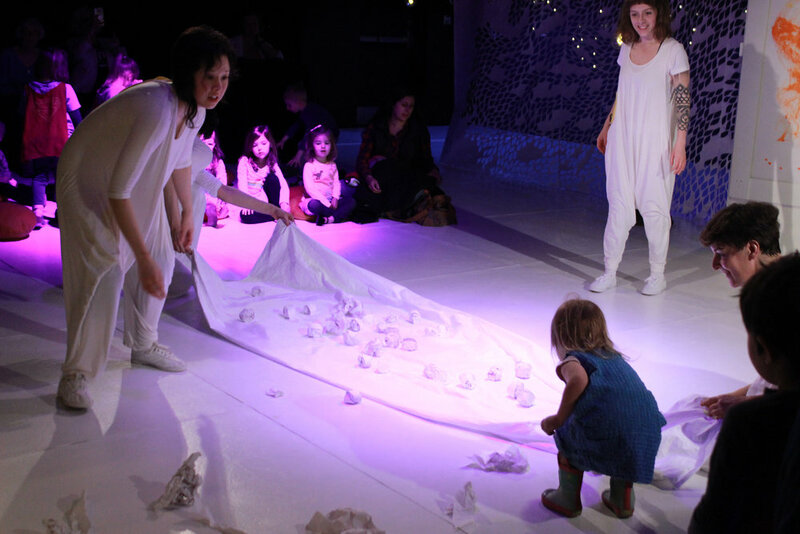 It was a performance art experience that could be experienced, enjoyed and appreciated by human beings across all ages. DOT challenged notions of what an expected art experience could be, and more importantly, who art can be made for. I loved being a part of this unique show and the phenomenal team behind it! The depths of my performance abilities were thoroughly explored thanks to a brilliant cross-collaboration between music, child, dancer, musician, costume designer, and all the scenic elements combined.